It's finally time for Shay's thoughts on STAR WARS VIII: THE LAST JEDI!!! Actually, it's more like unorganized ranting about different main aspects of the film here... Shay explores her thoughts on The Force Awakens and how they compare to The Last Jedi, and what she thought of the film overall. Then she goes into some thoughts on the character highpoints: Rey's development, Rey and Kylo's relationship, Luke's change and whether it destroys his character or not, and more. (There will probably be another part to thisin the form of a legitimate review next time, cuz this girl has waaay too many thoughts to fit into one 1-hour episode!!) Please subscribe and leave a review on SoundCloud, iTunes, and GooglePlay Music! Follow on Twitter: twitter.com/ElvenPadawan If you have a question or comment, send them to me at shay@elvenpadawan.com. 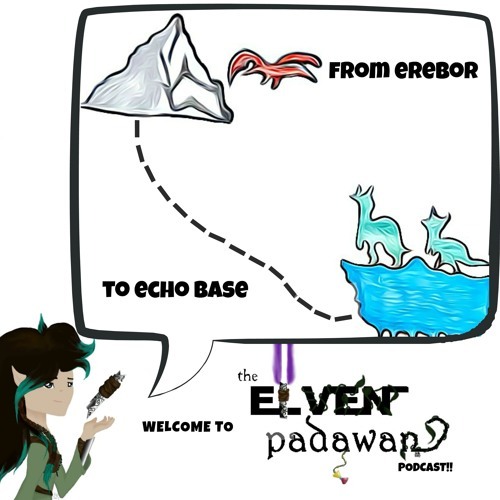 Check out the website for shownotes and a complete list of all soundeffects and music used in this episode: www.elvenpadawan.com.